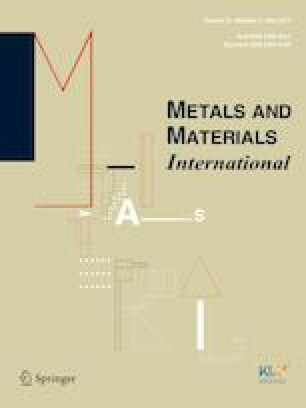 A series of Cu–M color alloys were investigated with two additional elements, Zn and Ga, that have adequate solubility to copper, which means that a wide region of solid-solution phase exists in the Cu-rich area in terms of color variation. To measure the color change of the alloys, the reflectivity difference analysis, the color difference and the transition energy were utilized. As the amount of minor alloying elements increased, the proportional relationship was found between the transition energy and the color difference compared to copper, for example, the color difference mounted with the increase of transition energy. A significant color difference was found when gallium was employed as the minor element. In other words, the influence of gallium on the color change was more evident than with Zn. It appears to be about 4.5 of the color difference when 3 at% of gallium was added. This work was supported by the National Research Foundation of Korea (NRF) and the grant was funded by the Korean government (MSIT-No. 2018R1A2B3007167). It was supported by the Human Resources Development of the Korean Institute of Energy Technology Evaluation and Planning (KETEP), and the Grant was funded by the Korean Government Ministry of Trade, Industry and Energy (No. 20164030201340).